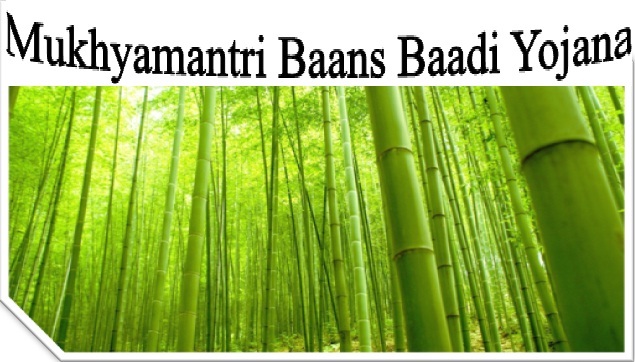 Mukhyamantri Baans-Baadi Yojana is an upcoming scheme which is specially planned to match the demands and the availability of high quality bamboos in the nation. Under this scheme government especially forest departments plans to offer bamboo plants for free to villagers in order to make them to grow in their home backyards. Under this scheme high quality fast growing bamboo samplings will be offered at free of cost to villagers. By using those villagers can satisfies their needs also those high quality bamboo plants will provides them handsome earnings consistently. Also, by providing such fast growing free bamboo samplings to poor villagers forest department of India plans to increase the bamboo plantation among the villagers which will be the great source to solve the raising issues of high demand and lacking availability of quality bamboos. Bamboo samplings will be provided to all districts and amount of free samplings will be provided on basis on the facts of bamboo productions, bamboo crafting populations, tribal areas. With this upcoming eco-friendly Mukhyamantri Baans-Baadi Yojana​, the poor villagers will be able to receive consistent extra income and also it helps to keep the ratio of bamboo needs and bamboo production in tally. The Main Purpose of this upcoming Mukhyamantri Baans-Baadi Yojana is to develop bamboo productivity among the poor villagers which will be beneficial for achieving high quality bamboo samplings like bambusa nutans, bambusa balcooa, dendrocalcamus and many others. Also growing those high bamboo samplings in poor villagers home yards will offer them extra income which will be on consistent basis. In addition, forest ministry of India planning to introduce such eco-friendly schemes in order to boost the common citizen participants especially from rural areas on preserving plants and trees. Moreover by doing so, such participants will be able to get some handsome extra cash every fixed period. Normally, all those bamboos will be fully grown by around 60 days and reaches its maturity in 3 to 4 years this will helps lot of villagers to get handsome cash and also it will meet the ratio bamboo needs in near future. Bamboos are one among the grass variety, and they are highly filled with potassium. Apart from meeting the bamboos demand at market in nearby future the most highlighting benefits of Mukhyamantri Baans-Baadi Yojana is it will offer villager’s to earn extra by preserving environment. It will boost them to cultivate such plants which help to balance our eco-system. Forest department of India, predicts in nearby future the ratio of bamboo demands will be in high while comparing with the bamboos cultivation and availability. On considering that, government plans to launch this eco-friendly yojana to boost bamboos cultivation among rural areas.